Meals and drinks are available on all flights of greater duration than 60 minutes. Deliveries took place in December of that year (Eastern) and in January 1983 (British Airways). Despite low initial orders the aircraft has proven to be a major success. Major operators of all variants include American Airlines (102), British Airways (51), Condor (30), Continental (41), Delta (115), EAC (29), EOAC (39), Iberia (24), Northwest (48), TWA (27), United (98), UPS (75) and US Airways (34). The original European Overseas order was placed to fulfill two requirements for an aircraft in the 150-200 seat range. EAC required such an aircraft for short haul trunk routes in order to replace existing Tridents while EOAC were looking for a much longer range aircraft to replace their VC-10s. Despite considerable wrangling between the two divisions the 757 won out over the rival A300 on grounds of range and commonality with the 767 which was also required by EOAC. 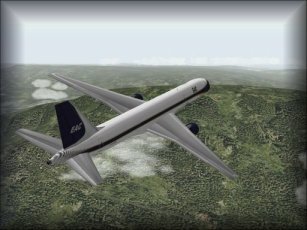 The 757/767 order was the first placed with Boeing since 1970 and as such represented a major change in policy for European Overseas who had previously preferred to deal with MDD and Lockheed in addition to the European manufacturers. A large airline like EOAC had really purchased more than 80 757s? While from Boeing's standpoint the order from European Overseas would have represented a major sale, the 757 is a very successful and flexible aircraft with more than 900 aircrafts in service worldwide. 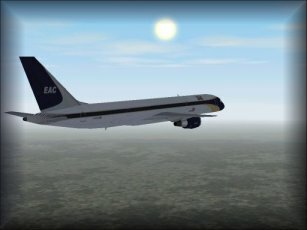 From this standpoint EOAC, while a major user of the type, would not have had great impact on the history of the 757.